When Kylie Jenner announced that she would be releasing more into her line of cosmetics other than just the beloved Kylie Lip Kits, I knew that sooner or later, I would have to have them. I managed to resist a couple of sales, however when I happened to just be browsing on the website one day and realised there were products still in stock, a couple may have accidentally fallen into my basket and been purchased. Oopsies?! This time around, I may have made a pretty hefty order and it may or may not have cost me so much more than I thought it would have in customs, but hey, we live and learn, right girls?! 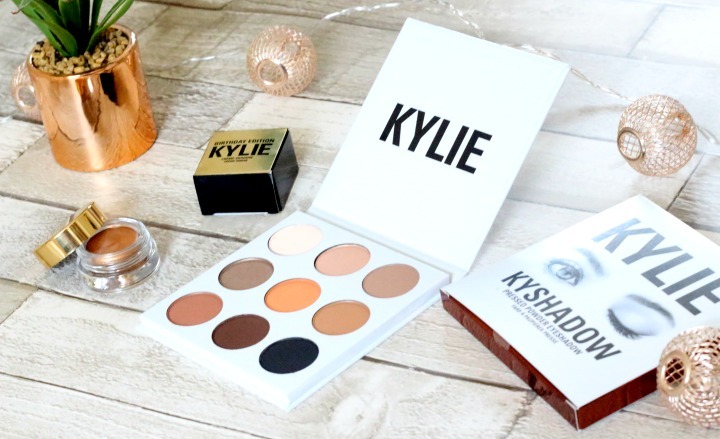 So, to save the mahoosive post that was inevitably to follow, I’ve decided to split it into three with the first being my new Kyshadow Palette and Birthday Edition Copper Cream Shadow reviews. For a couple of weeks leading up to me finally getting my hands on the Kyshadow palette and the Copper cream shadow I have to admit that I did do quite a lot of research. 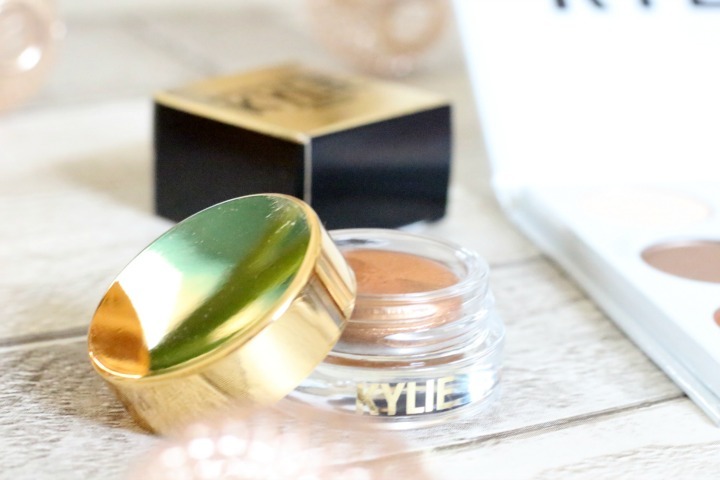 Yes, I am a huge fan of Kylie’s lip kits, but eye shadows can be really hit or miss and for how pricey they are, I wanted to make sure that what I was getting for my money was going to be worth it. I watched a couple of videos and a couple of reviews on Youtube and the majority of what I had heard was positive and so I was excited to finally receive my palette in the post. At the same time as buying the palette though, I noticed that the cream shadows from the Birthday Edition re-release were still available and having caught the buzz of the excitement from being on the Kylie Cosmetics website it all got a little too much and I decided to also get the copper shadow. I’d also seen a couple of review videos on these and after much deliberation I decided to go for the copper shade over the rose gold as I knew it would be one that I would get far more use out of. The Kyshadow palette is honestly now a new favourite of mine. I know I say that a lot when I’m testing out new eyeshadows, but these really are great shadows in my opinion. I wouldn’t quite say they’re worth the hefty $42 for the non-makeup obsessive as they are pretty basic shades, however for the likes of me who regularly splashes out £38 on the likes of an Urban Decay Palette, these are pretty good quality for the cash. My initial impression was that the Bronze palette is perfect for me. 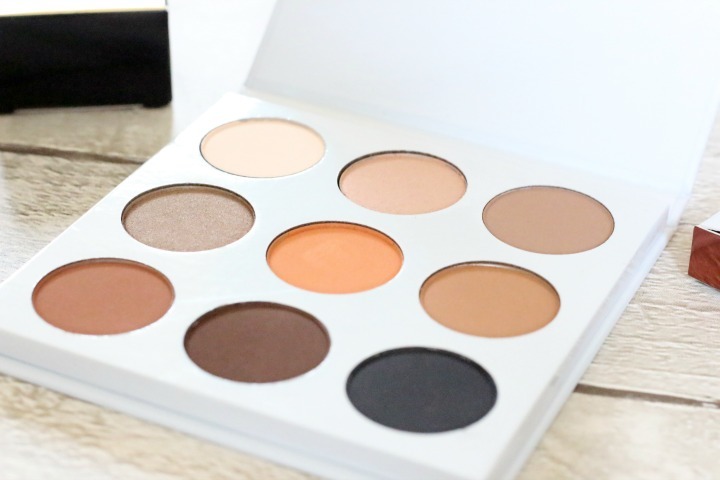 I’m a massive fan of bronze shades and especially matte ones for creating a smokey look and this palette really does have you covered on that front. I also really love how pigmented these shades are; a lot of the reviews that I watched were mixed on the opinions of how pigmented certain shadows were, but I think I must have had one from a good batch because I have to say that all of the 9 shadows in my palette are really well pigmented. They’re so creamy and so easy to blend and build up and I honestly really do love this palette. It’s become an every day go-to for me and the shades are so easy to wear that I really do not regret splashing the cash on this one one bit! The Birthday Edition Cream Kyshadow is something that, as I mentioned above, was a bit of a spur of the moment purchase and it’s one that I am so glad I bought! I’m not usually one for cream shadows, but this copper colour looked too good to resist and I thought it could make a really great base. The colour is absolutely gorgeous and so pigmented and a little goes a really long way with this thing. I chose the copper over the rose gold because of how much I thought I would realistically wear it and I’m so glad that I made that choice. I’ve been using this underneath my Kyshadow’s as a base / primer and it’s been working really well so far for me. 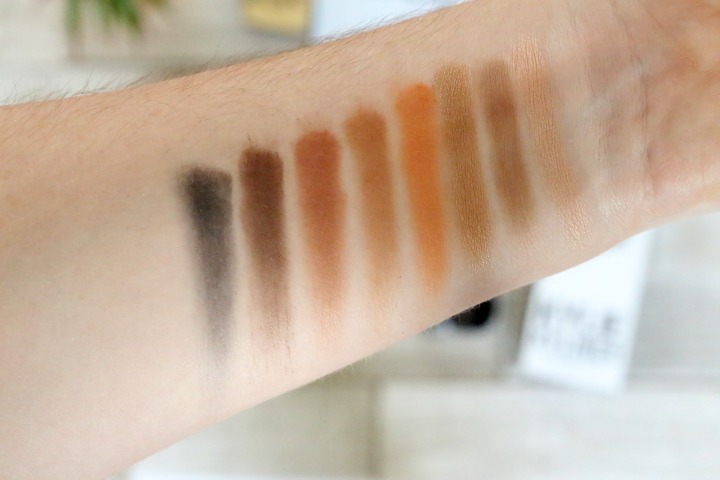 Cream shadows in the past have always failed in the reality of being creamy to me and so when I swatched this one and felt how super creamy it was I literally felt like I’d died and gone to cream shadow heaven, if there ever was such a place! 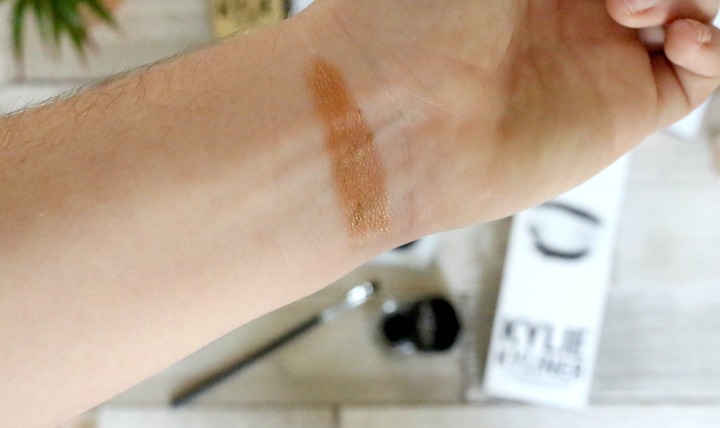 End of the story is, this cream shadow is lovely and the colour is just spot on for a copper base! 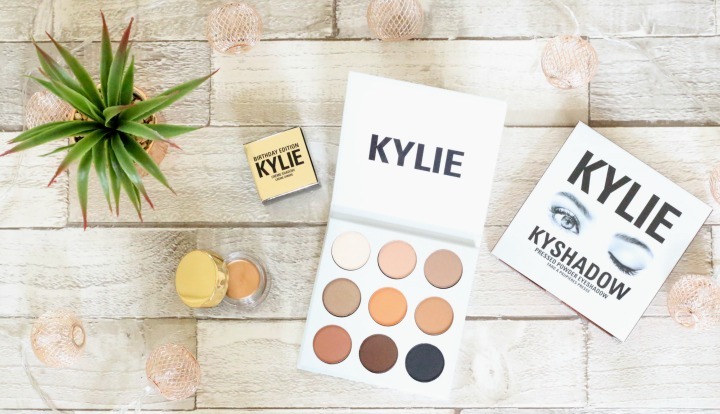 Let me know what your thoughts of the Kylie Jenner range – it would be interesting to know if your shadows are just as pigmented as mine! BekyLou, Beauty, Fashion, Fitness and Lifestyle Blog based in the South West. That copper cream shadow looks SO good!